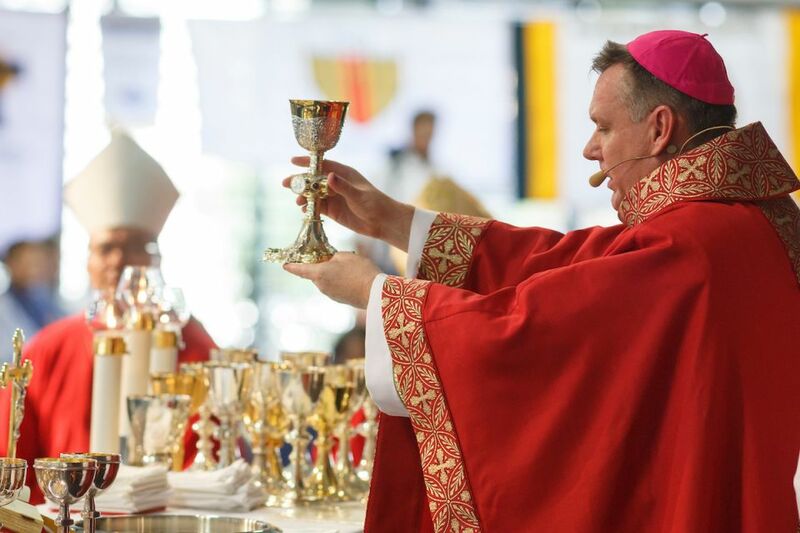 What can the Catholic Church offer me? 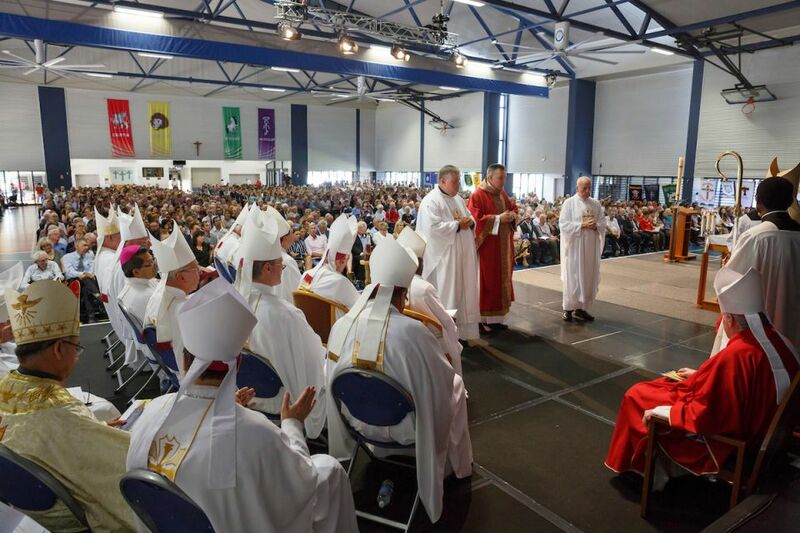 How does a person become a Catholic? Who will accompany you on the Journey? 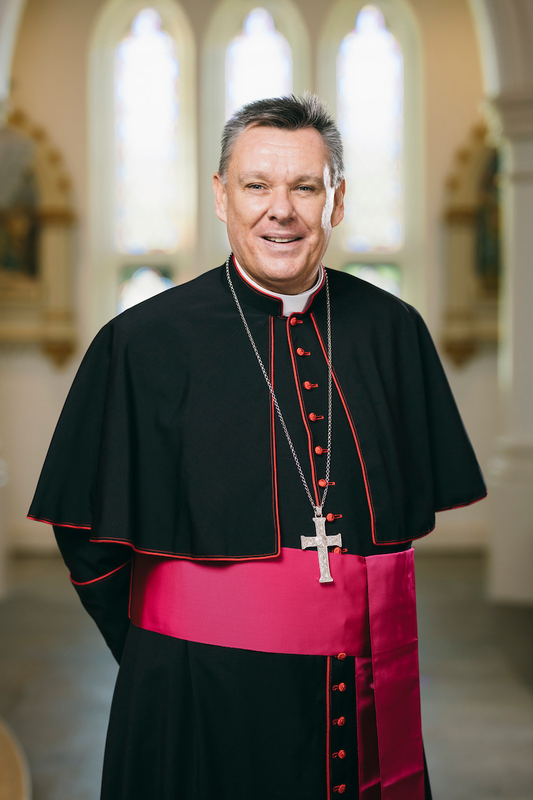 Bishop Timothy James Harris was born in Brisbane on 29th October 1962, the son of James and Shirley Harris, and brother to Jennifer. 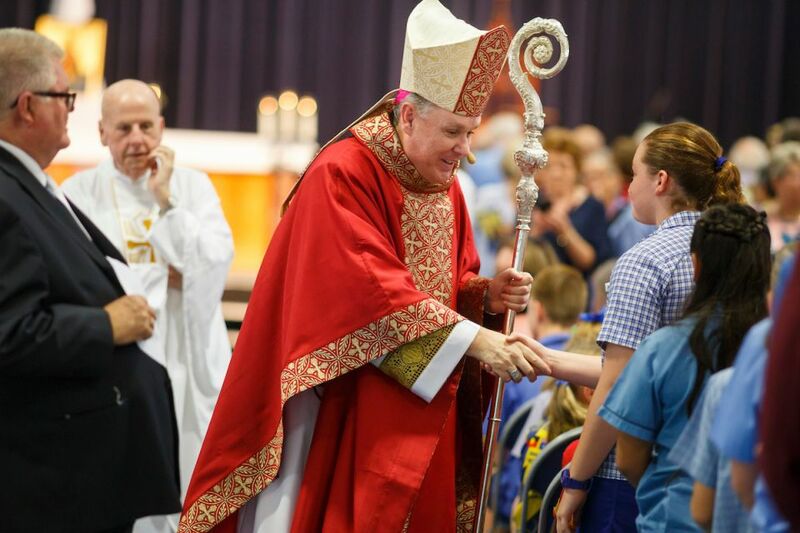 He was educated to primary level at St Joseph’s Primary School at Nundah and at the Virginia State School, and to secondary level at St Joseph’s Nudgee College, and then joined the Bank of New South Wales at its head office for five years. 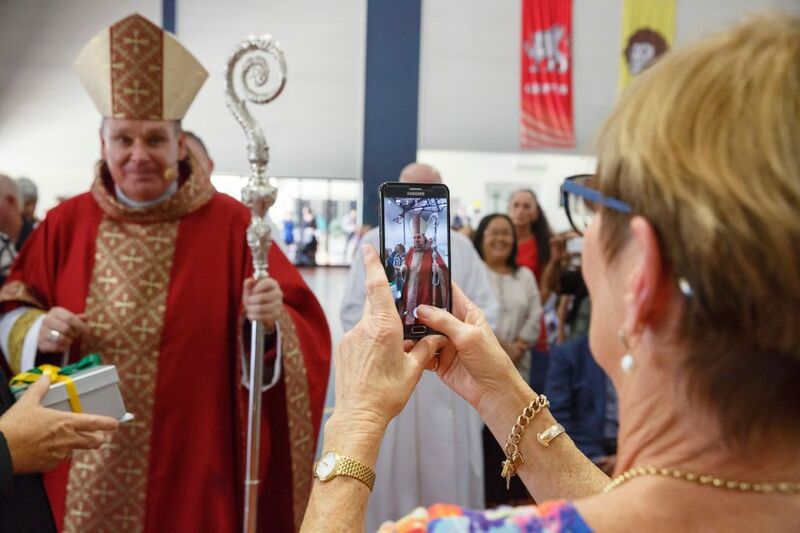 In 1986 he entered the Pius XII Provincial Seminary and was ordained Deacon in 1992 serving his transitional diaconate at Surfers Paradise parish and being ordained a Priest on 18th November 1992. 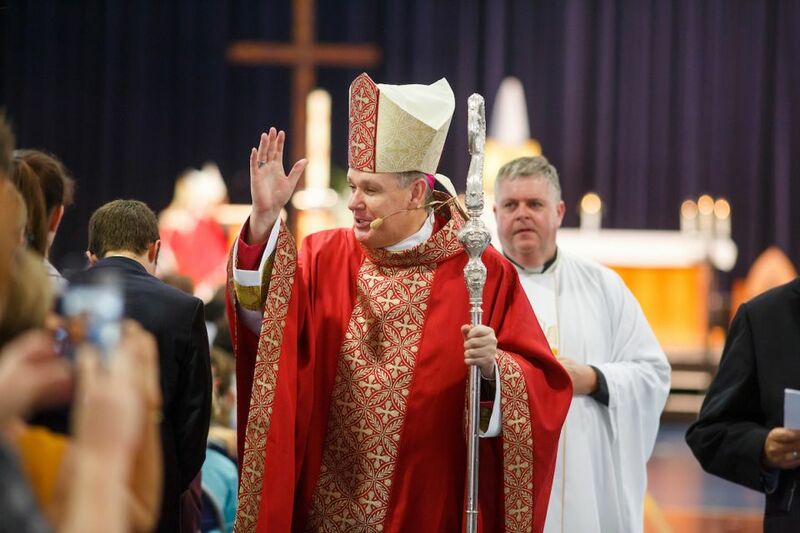 Fr Harris served as assistant priest in the parishes of Grovely and Caboolture before his appointment as parish priest of Graceville, and parish priest of Corinda in 1996, leading the union of the two parishes to form Corinda Graceville Parish. 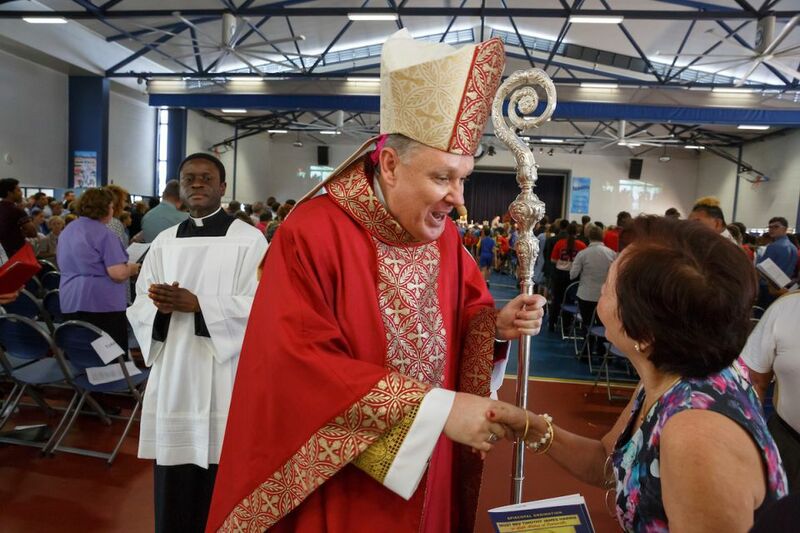 He served as parish priest of Corinda Graceville until 2010. 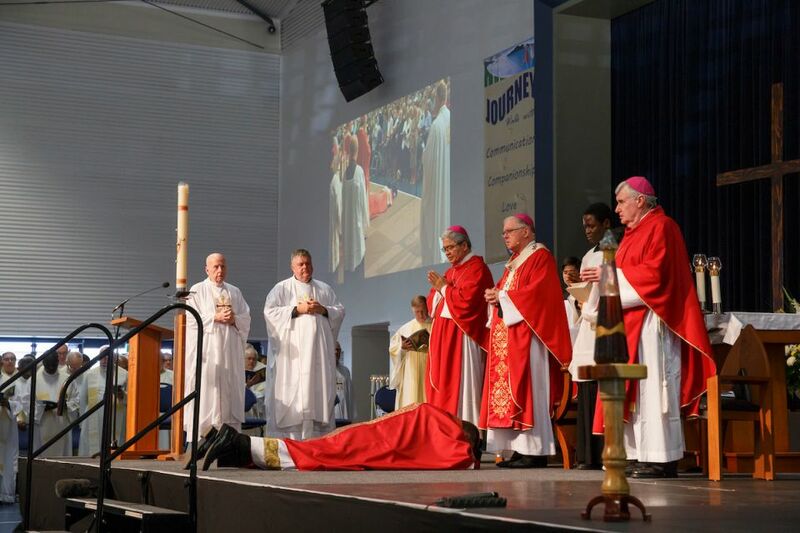 He was then appointed as Parish Priest of Surfers Paradise until 2017. 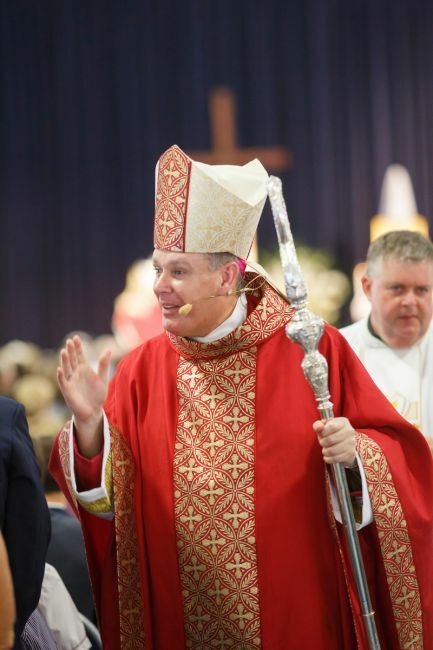 Fr Harris has served in various offices as Vicar Forane of the Brisbane West Deanery, member of the Council of Priests, the Personnel Board and the Clergy Appointments Board and until his appointment as bishop, he held the office of Vicar Forane for the South Coast Deanery of the Archdiocese of Brisbane. 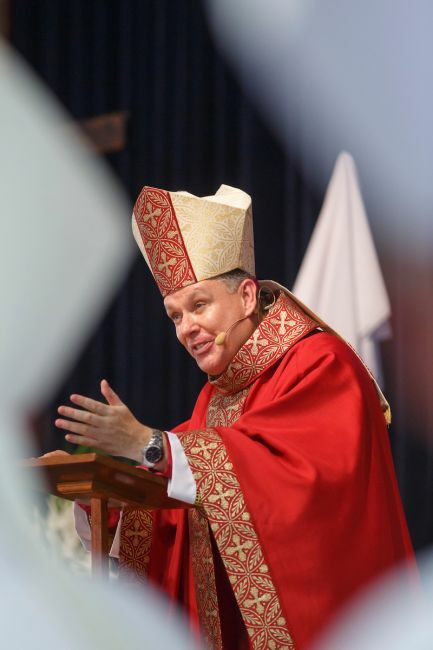 He obtained the degree Bachelor of Theology from the Brisbane College of Theology. 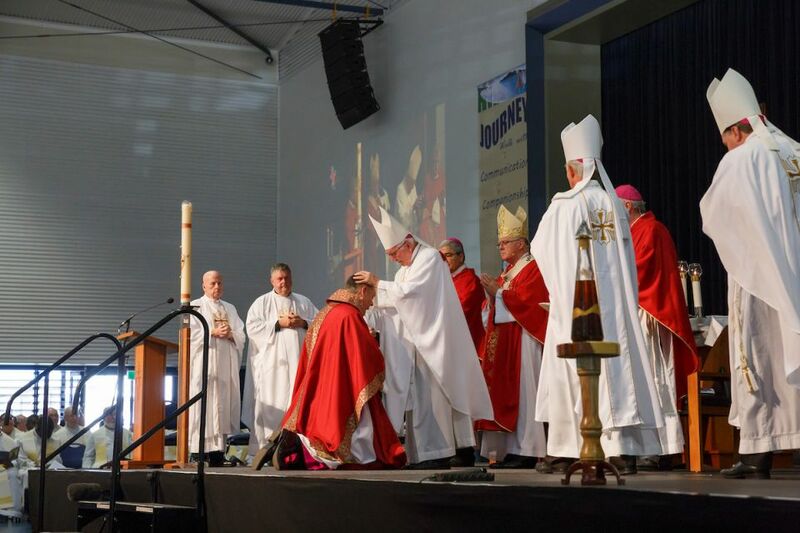 Fr Harris was appointed sixth Bishop of Townsville in the Province of Brisbane by Pope Frances on 8 February 2017. 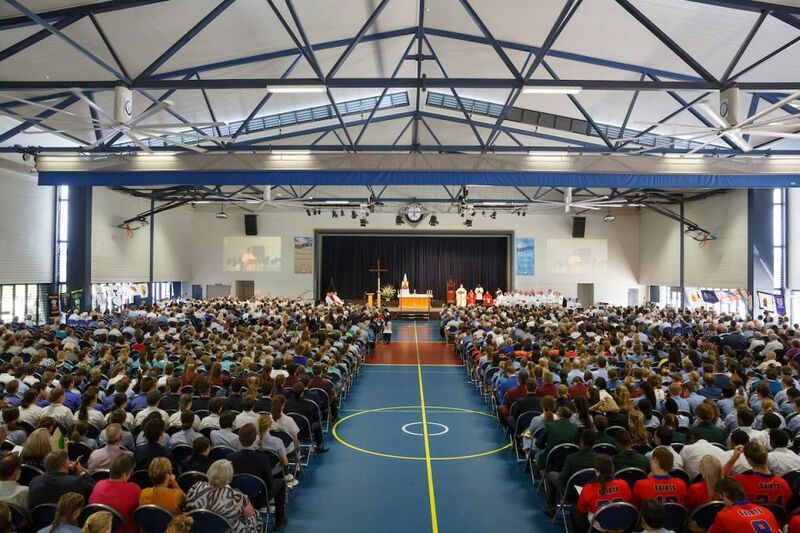 The Episcopal Ordination took place at the Emmaus Hall, Ryan Catholic College on Wednesday 3 May commencing at 10.30am.